Dr. Kristy Demers has been a full-time instructor in the Doctor of Physical Therapy program since November 2017. Prior to achieving full-time status, she was contributing faculty in numerous courses and worked part time in an outpatient orthopedic clinic. During her years in the outpatient setting, her primary focus was on the evaluation and treatment of movement impairment disorders, repetitive overuse injuries, chronic pain and woman’s health issues. 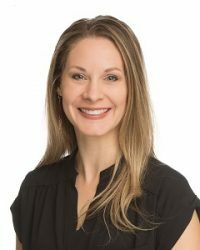 Dr. Demers earned her Doctorate of Physical Therapy from Washington University in St. Louis in 2006, and prior to that, she received her Bachelor of Science in Motor Development from Texas A&M University in 2002. She also has her Pilates Certification from Peak Pilates, and she enjoys combining Pilates, wellness and holistic health in her physical therapy practice. Dr. Demers is currently teaching Movement Science I, Patient Care Management I and assisting in Patient Care Management III.